Pawan Sharma | July 5, 2011 | miscellaneous Be the first to comment! People ask me many times that "can I install a 64-bit Linux or any other Operating System in to my Virtual Machine, even though if I have a 32-bit processor on my computer". The answer is "NO". 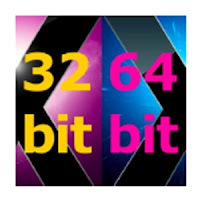 If you have a 32-bit processor on your computer,VMware does not provide facility to virtualize the 32-bit processor to 64-bit processor. Because all the CPU requests from Virtual Guest CPU are processed by the real CPU. So you definitely need a 64-bit processor to run a 46-bit Virtual Guest Operating System. You can not install a 64-bit Virtual Guest Operating System on 32-bit Host machine. Please comment on my posts and help me to correct if I am wrong.